From 1980-2010 about 10,000-15,000 people in the Milwaukee metropolitan area reported Austrian ancestry in the census. This number was quite similar to those who reported an Austrian birthplace in 1940, but quite a bit smaller than the 24,000 who reported their mother’s birthplace as Austria in 1910. The variability in these numbers reflects the assimilation process common to almost all European immigrants. But in the case of Austrians, it also reflects the dramatic political changes resulting from the collapse of the multiethnic Austro-Hungarian Habsburg Empire after World War I and the establishment of the much smaller nation state of Austria. The current common understanding is that Austrians are Central European people who are similar ethnically to Germans, most specifically Bavarians in the southern parts of the German lands, and speak a German dialect. The Austrian migrant stream to Milwaukee dates from the the Austro-Hungarian Empire period. Thus the early estimates of Milwaukee’s Austrian population likely include people who may later have called themselves Hungarians, Serbs, Croats, and so on. That said, John Gurda notes in The Making of Milwaukee that Milwaukee’s Austrians blended in well with the area’s large German population. A number of prominent Milwaukeeans self-identified as Austrians. A number of priests in the early years of the Milwaukee Catholic Archdiocese were Austrian. The archdiocese’s first bishop, John Henni, was a German-speaking Swiss who was well-known in Central Europe and other German-speaking areas, which made it easy for Henni to recruit Austrians. 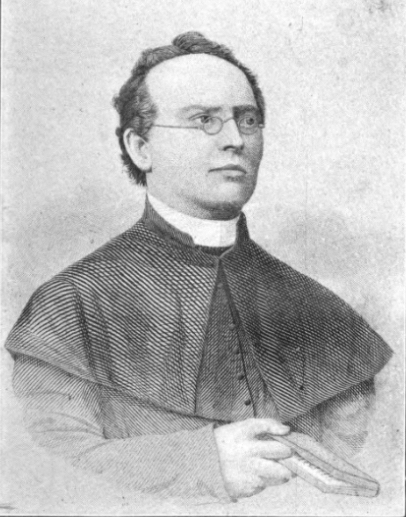 Caspar Rehrl, arriving in 1845, was the first Austrian Catholic priest, and in 1847 Dr. Joseph Salzmann, another priest, arrived in the city. Salzmann played an important political role in the middle of the nineteenth century, founding the Seebote. Salzmann intended the Seebote to counter the content and ideas contained within the Czech-founded Flug-Blätter, which was oriented around the notions of free thought and Czech nationalism in opposition to the Austrian Habsburgs. Salzmann thus played a role in bringing some of the conflicts from Central Europe to the Milwaukee area, countering the Czech nationalists in America with a more conservative Austrian voice. In the late nineteenth and early twentieth centuries, Victor Berger, an immigrant from the Austro-Hungarian Empire, played important roles in Milwaukee’s famous socialist politics during a period of time when the city’s industrial base rapidly expanded. Berger was born in 1860 in the Nieder-Rehbach region of the Austrian region to a family that was decidedly royalist. When Berger was age seven, his family moved to Leutschau in north-central Hungary. In 1878, in an effort to avoid conscription in Franz Joseph’s army, Berger emigrated to the United States. Arriving in Milwaukee in 1881, Berger became a teacher in the city’s public school system and became a prominent socialist leader and member of Congress from Milwaukee. Recently, there have been efforts among Milwaukeeans to maintain the idea of an Austrian cultural identity. Milwaukee has a chapter of the Austrian-American Society, a loose organization of local clubs that promotes the cultural traditions of Austria and fosters friendliness and dialogue between the people of Austria and the United States. The Austrian Express, founded in Milwaukee in 1980, performs Austrian and German folk music and cultural celebrations in the Milwaukee area. ^ See Steven Ruggles, Katie Genadek, Ronald Goeken, Josiah Grover, and Matthew Sobek. Integrated Public Use Microdata Series: Version 6.0 [Machine-readable database]. Minneapolis: University of Minnesota, 2015, tabulation of ancestry and mother’s birthplace for metropolitan Milwaukee. ^ Lisbeth Lindebord, “Regional Deep Structures in the German Cultural Space,” in Regions of Central Europe: The Legacy of History, edited by Sven Tägil (West Lafayette, IN: Purdue University Press, 1999), 61; Frederik Lindström, “Region, Cultural Identity and Politics in the Late Habsburg Monarchy,” in Regions of Central Europe, 122-124; E. Wilder Spaulding, The Quiet Invaders: The Story of the Austrian Impact upon America (New York, NY: Frederick Ungar Publishing Company, 1968), 4-5. ^ John Gurda, The Making of Milwaukee, 3rd edition (Milwaukee, WI: Milwaukee County Historical Society, 2006), 67. ^ Benjamin J. Blied, Austrian Aid to American Catholics, 1830-1860 in (Milwaukee: n.p. 1944), 135-141. ^ Sally M. Miller, Victor Berger and the Promise of Constructive Socialism, 1910-1920 (Westport, CT: Greenwood Press, Inc., 1973), 17, 25-26, 198-199, 207, 213; Kimberly Swanson, ed., A Milwaukee Woman’s Life on the Left: The Autobiography of Meta Berger (Madison, WI: State Historical Society of Wisconsin, 2001), 3, 2n6, 3n7. ^ Austrian American Society of Milwaukee Facebook page, accessed, May 24, 2017. ^ Austrian Express—About, Facebook, last accessed August 5, 2012.